Any fellow Oz book fans go to see Disney's new Wizard of Oz movie on opening weekend, too? "Oz the Great and Powerful" introduced Finley, a sweet bellhop that could have been the older brother to my flying monkey drawing! Kathy of Bay Moon Design included my winged monkey bookmark, rainbow sock monkey by Tote-ally Bags and M is for Monkey brooch by ME2 Designs in a wonderful Wizard of Oz gift guide. 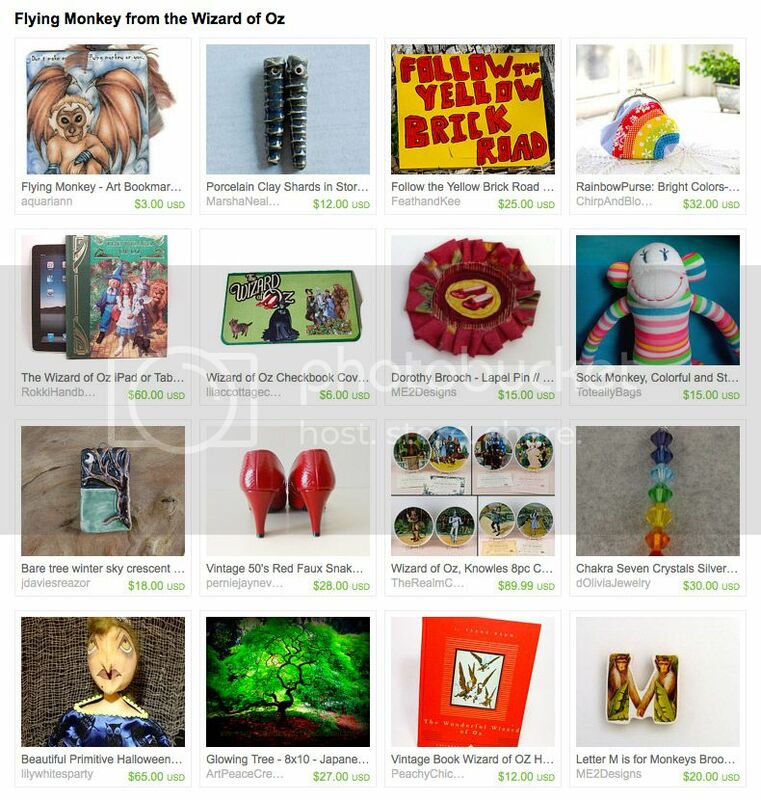 Thank you for featuring my treasury! My kids can't wait to see Oz the Great...I forget how the rest of the name goes! But you know what I mean. I LOVE that flying monkey up there. Awesome treasury!